When creating your cluster, make sure to setup IAM roles allowing you to access your S3 buckets if required. This registers S3AFileSystem as the default FileSystem for URIs with the s3:// scheme. 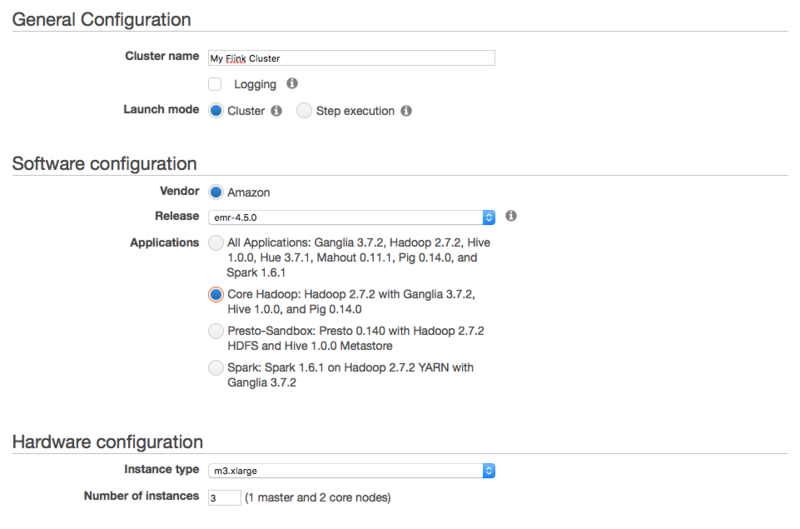 This registers path/to/etc/hadoop as Hadoop’s configuration directory with Flink.